Features of the printer you cannot see are what sets these two units apart. The SG400 was designed specifically for sublimation, whereas the SG 3110DN is an off-the-shelf printer designed for office printing. 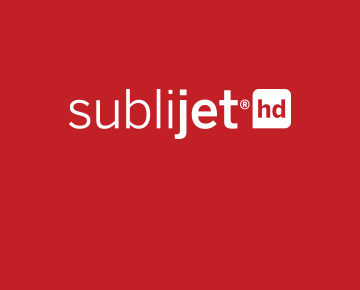 Even though Sawgrass engineered the SubliJet-R ink to work in the SG 3110DN printer and achieved excellent printing results, the SG400 is as a sublimation printer from the ground up and designed for optimal use of SubliJet-HD ink. Said differently, the SG400 is a superior sublimation printer. Sawgrass designed the SG400 for optimized head-jetting pressure and advanced algorithms that deliver higher quality images than the Ricoh SG 3110DN. As a result, the SG400 prints faster, uses less ink and delivers a wider range of vivid colors than its predecessor. One final note – Ricoh has discontinued the SG 3110DN and is no longer producing additional units. Sawgrass will continue to supply ink for the SG3110DN and assist our customer’s who need support, but if you are in the market for a new printer, we strongly suggest that you consider the Virtuoso SG400 or the larger companion product, the SG800 to get the latest, state-of-the-sublimation-art system that delivers the highest quality images at the lowest cost for many years to come.